Strike. It is an idea no longer confined to leftist politics, these days appearing occasionally on the CNN news ticker, winking at us unexpectedly from Teen Vogue. 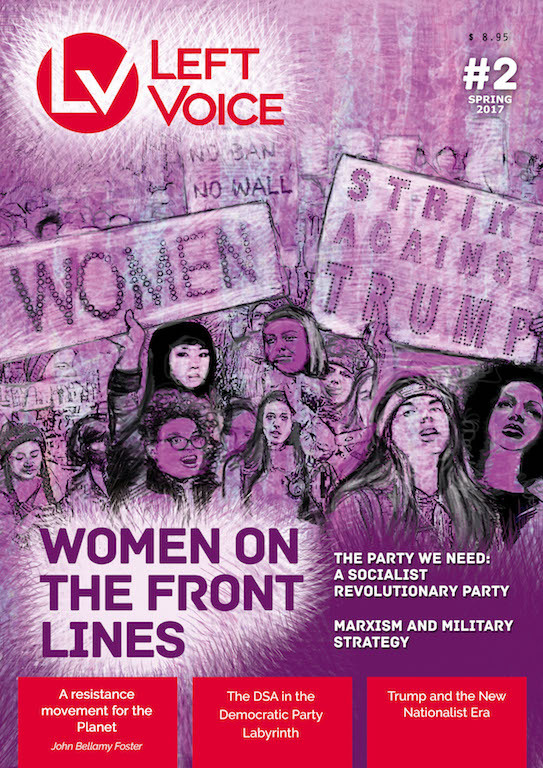 Our new print issue “Women on the Front Lines” is out! You can subscribe or buy it online. We are offering free shipping for a limited time. 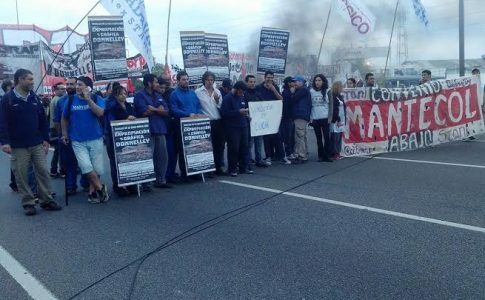 For every magazine we are donating $1 to worker controlled factories Zanon and MadyGraf in Argentina. Shops fell silent and bosses scrambled to fill the void led by immigrant workers who stopped work on the “Day Without An Immigrant.” The flag of International Women’s Strike was flown high on March 8, by those who took cues from #NiUnaMenos. 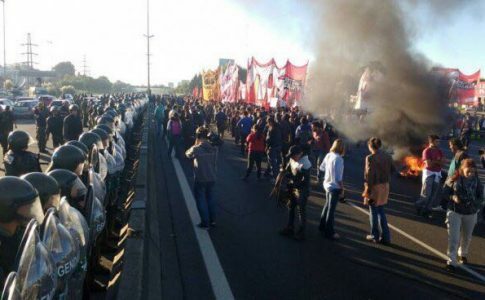 In Spain, Uruguay and Brazil, women workers struck. Millions are taking to the streets to demand democracy, equality, and justice from within a neoliberal world order that has worn through its progressive guise, still stuck in the productive inertia from the crisis opened in 2008. Debates that seemed old and forgotten are making a comeback: tactics and strategy, reform or revolution, the need for a political party. In the movements of women, people of color, and immigrants, we see a growing rejection of capitalism and capitalists’ laws for humanity. This radicalization takes place alongside the rise of nationalism, protectionism, and xenophobia represented by Trump, Le Pen, and the UKIP. 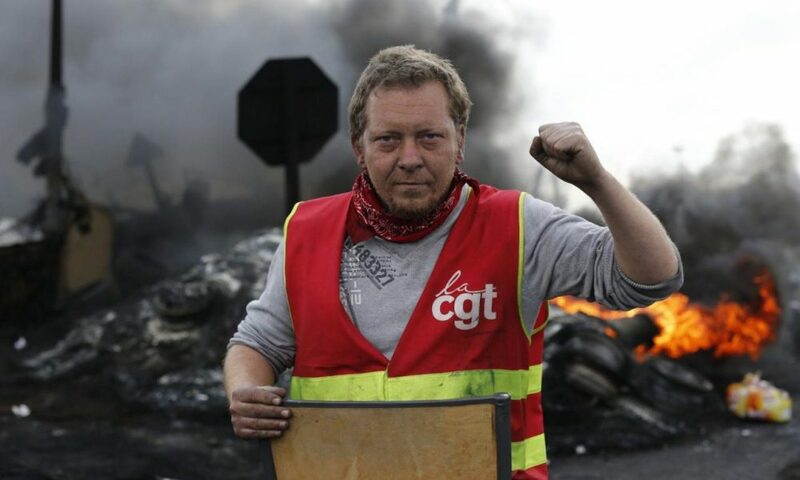 When we set out to publish the first print edition of Left Voice, we focused on trends of social and political polarization, the revival of the labor movement in France, and the crisis of the traditional capitalist parties. We discussed the end of Pink Tide governments in South America, the limits to neo-reformism á la Syriza and Podemos, and strategic questions for Black liberation in the United States. This time around, we fixed our sights much closer. Trump’s first months have sharpened divisions within the warring factions of the ruling class, split over how to manage the economic crisis–some for the continuation of globalization and others for economic nationalism and protectionism. Though the US has for a long time boasted a reactionary right, Trump’s election has completely shifted the terms of battle, emboldening racism, imperialist protectionism and immigrant scapegoating, as well as sparking mass resistance the likes of which haven’t been seen in decades. It is no surprise that women are on the front lines of the struggle. One hundred years ago, around the time of International Women’s Day, women workers in Petrograd went on strike, beginning the February Revolution in Russia that toppled the czar. In these pages, we tackle what we believe are the most pressing strategic questions for the left. We discuss the need for the women’s movement to connect the struggle for women’s emancipation with the struggle to overcome capitalism. The anti-Trump resistance in the US is already being claimed by the Democratic Party, a party of imperialist war and neoliberal cuts, responsible for the conditions that led to Trump’s rise to power. Trump’s “America First” ​​can only mean greater subjugation of oppressed people around the world to US imperialism. It is necessary that the left takes up the fight against xenophobia, racism, and the yoke of imperialism. We must fight against the wall, deportations, and for immigrants’ rights, as well as the structural basis that enables imperialist control. 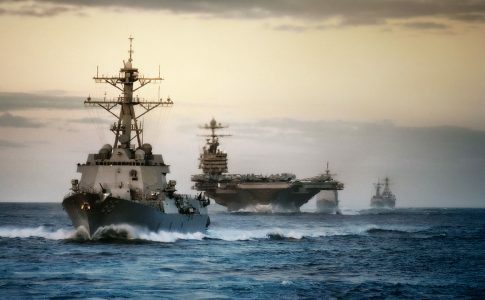 We must fight against financial policies that hyper exploit workers in semi-colonies and against the US military that imposes the economic and political will of the US government by force. Left Voice is part of the La Izquierda Diario news network, with outlets in 11 countries published in English, Spanish, Portuguese, French, and German. Our writers are factory workers, students, immigrants, teachers, and healthcare workers. We want to be a voice of the most exploited and oppressed sectors of society and a site of strategic debate where we can arm ourselves to fight not only Trump, but the entire capitalist system. Note: Outside the US and Canada, only digital subscription is available for now.